Read dozens of testimonials from our many happy patients and expert professionals. Or read only testimonials in a category: Adults with Dyslexia, Kids with Dyslexia, Parent Testimonials, Entrepreneurs with Dyslexia, Video Testimonials, or Related Issues Testimonials, including ADHD, allergies, TMJ, learning disabilities, behavior and health issues, etc. 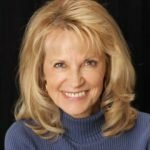 Books is a chiropractor, certified clinical nutritionist, instructor, and founder of a multidisciplinary system for people with learning disorders, making her, thus, uniquely qualified to explore the topic of “improving learning and behavior without drugs” in people with dyslexia. According to the author, we have limited our view of the disorder to difficulty with reading and writing rather than a “disorder that permeates a person’s entire life” leading to a variety of symptoms affecting behavior, attitudes, organization, and thought processes. Here, Books attempts to dispel the myth that dyslexia is a permanent disorder; her goal is to empower parents as advocates for their children and increase the self-­esteem of dyslexic children. She points to markers that identify dyslexia and examines related conditions such as ADHD, depression, and anxiety that can be hidden indicators of the disorder. Books then explores therapies with a focus on alternative treatments, nutritional changes, and the possibility of rewiring the brain through the use of exercise, music, and play. VERDICT Books’s 25 years of investigation into dyslexia is evident in this work as she supplies a wealth of information for parents and teachers of newly diagnosed children and provides an excellent general compendium on alternative therapies. Dr. Books started practicing in my office in 1986. Dr. Books started practicing in my office in 1986. She knew she wanted to work with children with learning differences and made a name for herself. Even though I used to kid her about being out of the office more than in (she travels and teaches a lot), over the years, patients consistently go out of their way to track her down. She is the best at what she does. Her reputation speaks for itself. met Phyllis Books while working as a Medical Reporter for a CBS affiliate in Austin, Texas. “Dr. Phyllis Books is a master at virtually any subject she chooses to teach. Masterful and brilliant yet simple and understandable, Reversing Dyslexia exposes the myth of dyslexia as being a permanent, life-long condition. Dr. Books challenges the traditional and deep-seeded educational and medical models of dyslexia that have narrowly construed the causes of the condition and reduced its treatment compensatory tools. She poignantly defines the “dyslexia spectrum syndrome” as a complexity of neurobiological issues that relate to brain synchronization and neurological dysregulation. She demonstrates that overcoming learning disabilities requires a multi-disciplined approach based on biology, neuroscience, psychology, diet, exercise and perhaps most importantly, loving and compassionate intervention by both parent and practitioner. Speaking simultaneously in the voices of a scientist, educator, chiropractor, mother and grandmother of three young boys, Dr. Books has written the consummate primer for parents of dyslexic children, guiding them through the confusing maze of cultural misinformation on the subject.As an attorney who has represented alternative healthcare practitioners over three decades in the relentless tension between mainstream medicine’s rigid focus on the treatment of bodily symptoms and the alternative approach of addressing the body as a holistic organism, I can confidently recommend Reversing Dyslexia as a “whole person” approach to shedding the limitations of dyslexia. It is a must-read for anyone whose life has been affected by a loved one with any learning disorder. As a traditional and holistic psychiatrist, I have enjoyed collaborating with Dr. Books. She is both skilled in the use of multiple approaches and intuitive about her patients. Continuity of care is predictable and easy. She continues to search for additional ways to make things better for people. As a physical therapist, I had sought many other therapies for my son who was performing below potential at school. I enjoyed the changes they had induced, but still feel that my son benefited greatly from Books Neural Therapy. I could see the changes in coordination of his teamed eye movements after several sessions with her, as well as a general calming. The teachers appreciated this, as well. I myself have also benefited from going to Dr. Books. I could specifically feel a balance from what I feel was a better communication of the “fight or flight” and “calm focus” portions of my nervous system. As a result of experiencing the benefits of Dr. Book’s techniques, I was very excited when I learned that she was developing a course to teach her work. The two main costs have been time and money, but the sacrifice of both have been well worth it. Dr. Books is a patient and thorough teacher. The online videos are invaluable for review of the nuances I didn’t catch in class! I look forward to being able to master and use this very valuable work for my own clients. Her book and online course are nothing less than brilliant! Her information and delivery are riveting. She weaves scientifically-based, integrative wisdom with heart, humor and determination to work with the root causes rather than the symptoms. Her work is some of the most powerful work I’ve ever seen. I can’t do in the classroom what I’ve witnessed with Dr. Books. Her work is some of the most powerful work I’ve ever seen. Dr. Books was able to bring the reading scores of the children she worked with up several grade levels in a matter of days. We opened a charter school in 1998. Over 70% of our kids are behind in academics. Most of our high schoolers don’t read beyond fifth grade level. Dr. Books was able to bring the reading scores of the children she worked with up several grade levels in a matter of days. One ADD child seemed to grow “common sense”; another child with autistic tendencies became more sociable; yet another one’s handwriting improved drastically. The parents and teachers and I are extremely pleased. Within several sessions with Dr. Books, this patient lost her desire for alcohol totally. “I first heard about Dr. Books through a patient of mine who was having trouble with alcohol, among other things. Within several sessions with Dr. Books, this patient lost her desire for alcohol totally. I had been working with this patient for about a year, and many facets of her life were improving. However, this wonderful change that occurred so quickly and seemingly effortlessly stirred my curiosity. That was eight years ago. I have referred many patients to her and vice versa. Pam Bell, Ed.D., LPC, CBT, EEG Biofeedback, Cert. ProviderSanta Fe, N.M.